Although our holidays are of the 'staycation' variety due to the husband's business. I'm trying not to countdown the days to the *whispers* full time work. Instead I plan to chill and enjoy. Lego Sunday. Much like every other day in our house there is Lego involved. Generally of the Star Wars variety. The girl has developed a crush on Ewan McGregor's Obi Wan Kenobi. I can't fault her taste for bearded men. It is meant to be the holidays but joys of the job meant going in to school to do some setting up. Billy Bear came along too, relation of Barnaby Bear. Obviously. 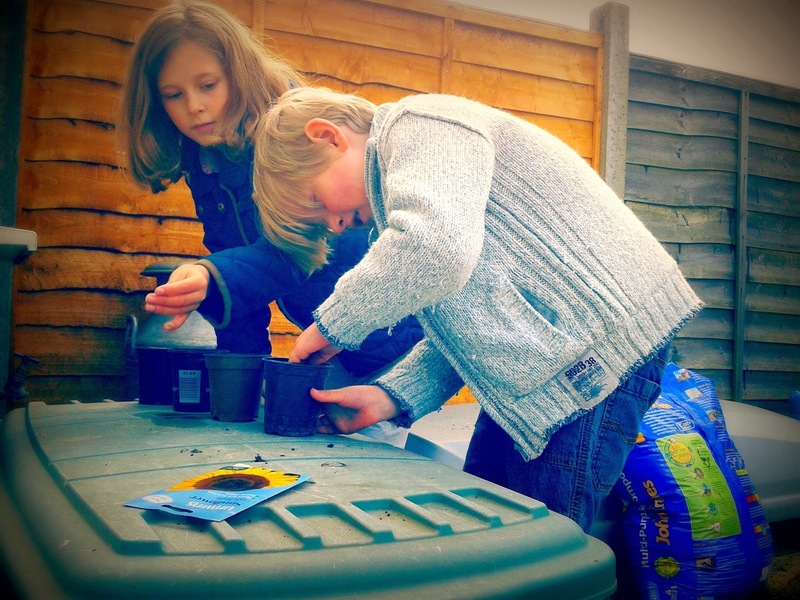 A garden day today so I set the children to work planting sunflower seeds. They had quite the production line going. Looking back I should have got them to plant 76 of them. New shoes required today for the children's feet ready for Spring and Summer. The boy refused my first choice of Converse style pumps as he didn't want to learn to tie laces. The girl had good choice with some high tops - and she did learn to tie the laces. 100 days already?! It was a good one. 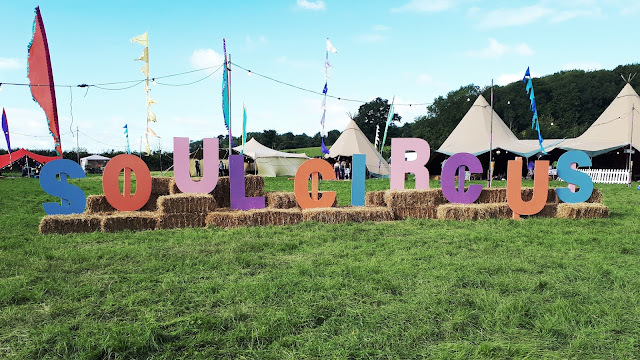 I took the children to Lacock - one of our favourite local places. It was so hard to select just one photo for today but I loved the Magnolia growing outside the imposing entrance to the Abbey. A quick trip into school then it was a bit of a tidy the house and chill out day. I took some time out for five minutes with my chai in the garden watching the chooks enjoying a dust bath under the trampoline. Squint and you may see them! A rare day with the husband minus the children. 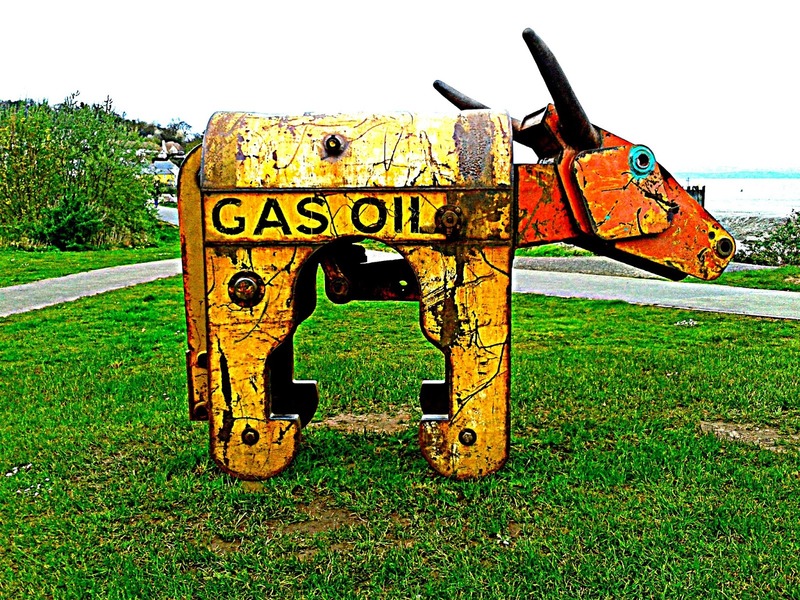 We did some exploring and decision making whilst wandering around Portishead where we found this metal up-cycled cow? Bull? Answers on a postcard please. 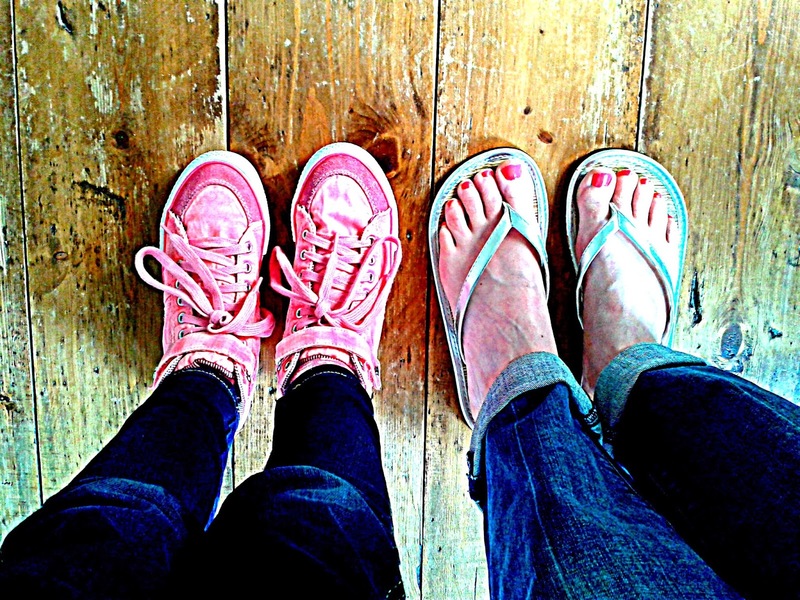 Loving all the pictures of feet this week! So important to get a day out with the hubby during the school holidays, isn't it? Enjoy the last week - more lego?! Yay for holidays! Ours start next week, I can't wait! Our hens dust bath under the trampoline as well and the lego yes, I am sure it is in built in children to love it! 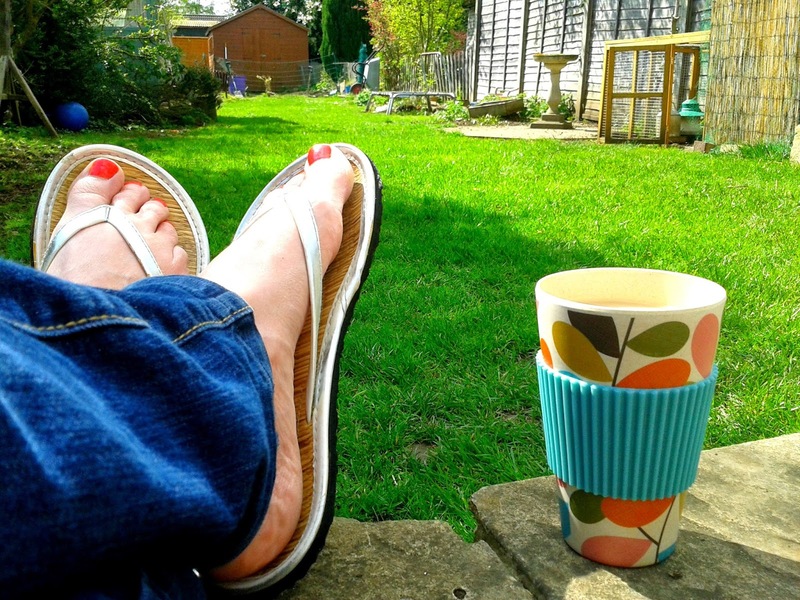 another fab looking drinking vessel and its nice to see your feet in some of your pics. 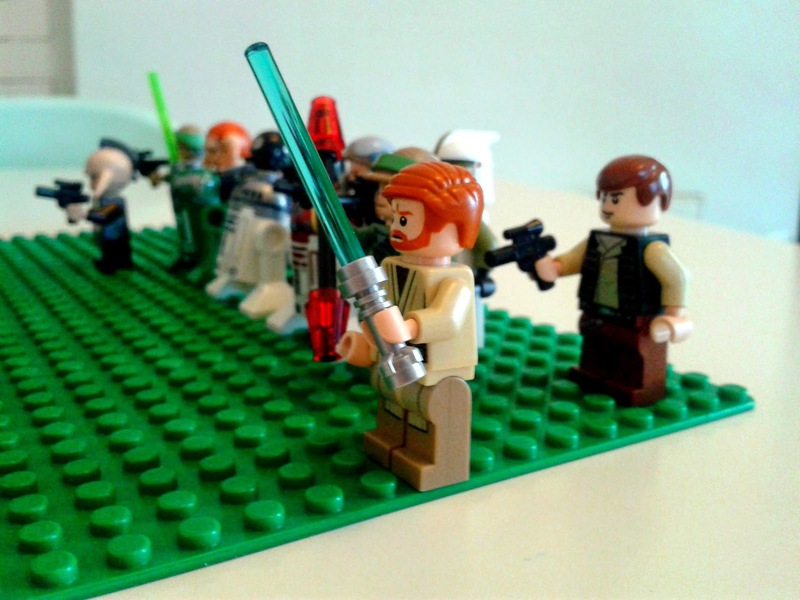 great Lego photo and the likeness to the real Ewan is quite good actually! Lo love love the Orla Keily mug. 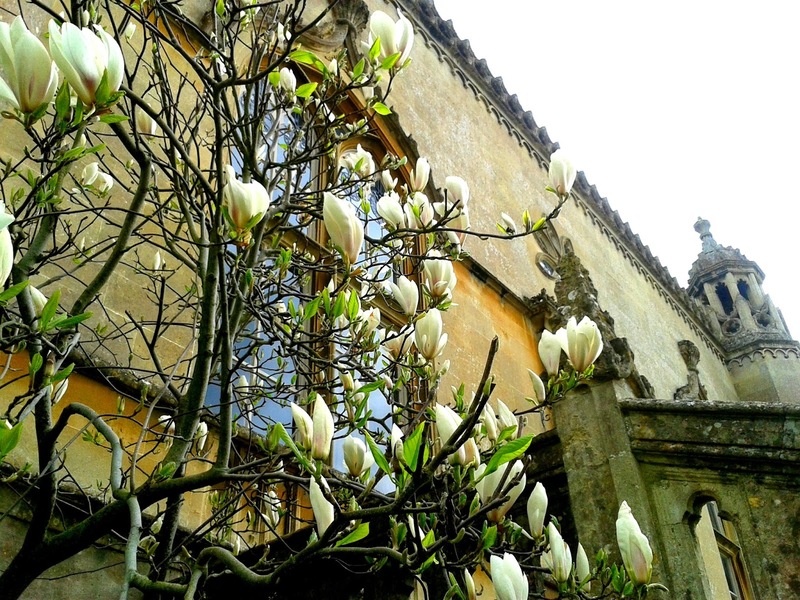 Spring is definitely springing in your photos this week, the magnolia at Lacock is fabulous. Loving all the photos but especially the lego (who doesn't like lego? ), the magnolia and the odd metal bull thing. 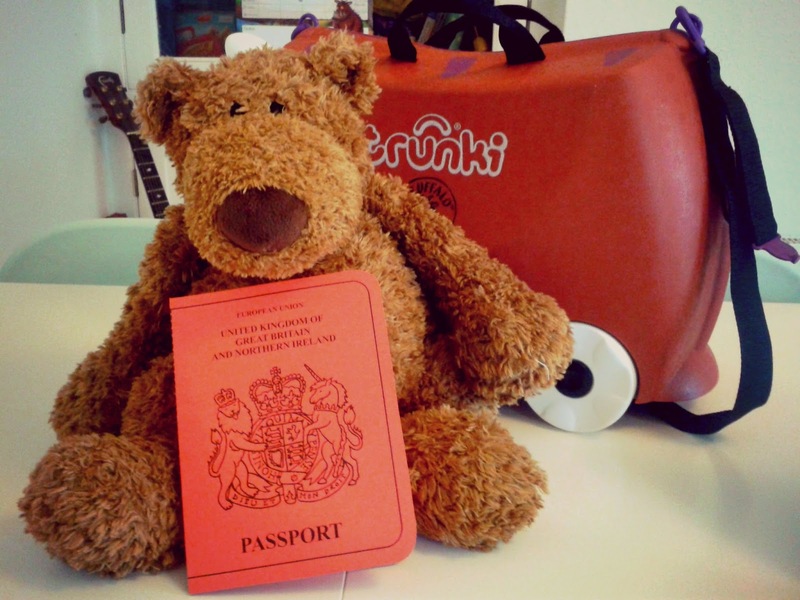 Your setting up for school looks great - I would love to be in a lesson that involves bears, Trunkis and passports! Great photos and especially love the one with the magnolias. 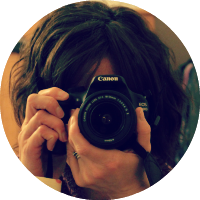 Looks like you've had a good week and your photos are as quirky and fabulous as ever! Well done to the girl for learning to tie her laces! That's a great chilling out in the garden picture. i have been taking loads of those while on holiday to remind myself that i actually had time for these moments. I do love the contrast of the flowers against the imposing building. I'm going with bull! It's very cool anyway! Sounds like a fun week, even if you couldn't get away. Look forward to seeing the sunflowers! The bearded men comment made me chuckle. Gorgeous magnolia I love them. Are you teaching now again? That cow is interesting isn't it?